County Line Garage offers some of the best auto repair and car repair here in Seymour, Tennesee! We basically do everything from bumper to bumper for you. 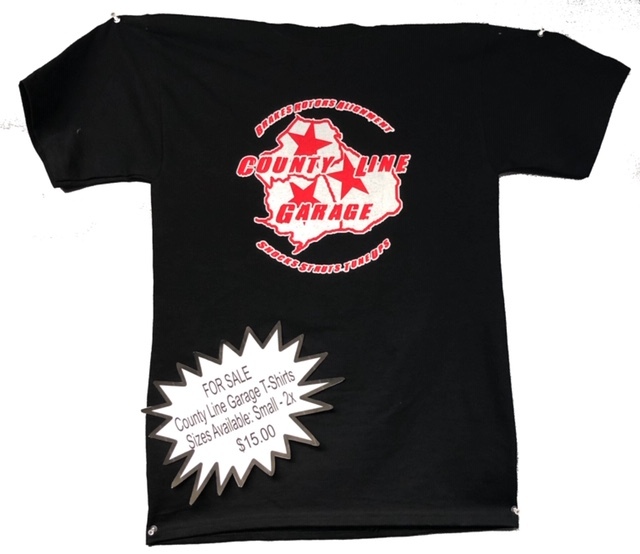 What better way to show your support for your local automotive repair facility than with a T-shirt. Sizes available from Small - 2X. Pricing is $15.00. This can only be paid by cash or check. Please, give us a call! Learn more about who we are and what we stand for. Learn about what we do and the numerous services we provide. Find us with a map or our address. Handling all of your local car repair and mechanic needs!